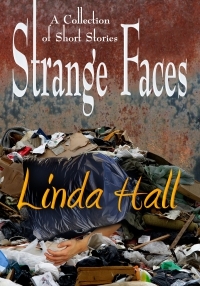 From experienced and award winning author Linda Hall comes Strange Faces, a collection of seven stories that will take you to a place where killers can linger in your backyard but where magic can sometimes change everything. The voyage begins with Pickers and Choosers, and with a group of young dumpster foragers who witness a murder. Or do they? And why now, after twenty-seven years is the terrible memory resurfacing? In A Nice Cup of Something Hot we meet Mrs. Wilkers, a divorced woman obsessed.